Mrs Crewe alas has recanted these high ideals by the time the next book, Jill Enjoys Her Ponies, appears. Jill gets the dream offer: a job after she finishes school in the stables of a member of the British Show Jumping Team, Captain Cholly-Sawcutt. It is, as Mrs Darcy says, the sort of chance she really needs if she is to make horsemanship her career. But Jill says her mother wants her to take a secretarial course, and the implication is that however much Jill might want the dream job, her mother won’t agree. In the last book (chronologically) Pony Jobs for Jill, Mrs Crewe announces “A girl can’t learn too young to run a home.” Jill and Ann would much rather run a stable. And so they do, for a while: having finished school, they take a succession of short term horsy jobs. None leads to anything important. Mrs Crewe is not alone in her new views: Captain Cholly-Sawcutt appears to have thought again about his job offer. 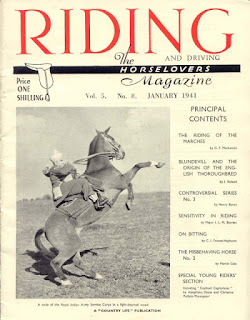 “You’re going to get yourselves seriously trained for some proper job, and you’re going to keep up your riding for a hobby,” he tells Jill and Ann at the end of Pony Jobs for Jill. And they do. In the very last paragraph of the book, Jill’s set for a secretarial course, and feels she’s “secretary to the Prime Minister already.” She wanted to be an MP several books earlier. The effect on Jill’s readers was profound. To us, Jill was a role model who went out and forged her own way, but when she meekly accepts a limited and conventional view of what a girl should do their ideal world was shattered. Although some readers might, as Liz Thiel says , go on to “seek an explanation for Jill’s heroic demise, to question the influences that have encouraged her to submit to conventionality and to consider the possibility of an alternative ending,” those readers I have asked do not consider an alternative ending: they simply reject the one that is provided. Did Ruby Ferguson intend readers to question the ending she gave to Jill? Or was Ruby Ferguson reacting to the thousands of girls she felt she was inadvertently encouraging in ridiculous dreams? Ruby herself did a secretarial course after Oxford. Maybe she too had dreams, but they were dashed by the realities of finding work in post war Britain. It is noticeable that Jill was still allowed to write: was writing Ruby Ferguson’s escape? Pony Jobs for Jill, in which the moral voice of the sternly practical parent obtrudes and rips apart the dreams we have all built up for ourselves and for Jill, is the least popular of the series. Ruby Ferguson made a romance of her own life: perhaps therein lies the key. Her best creations, and she knew it, were those in which reality was not allowed too free a rein. 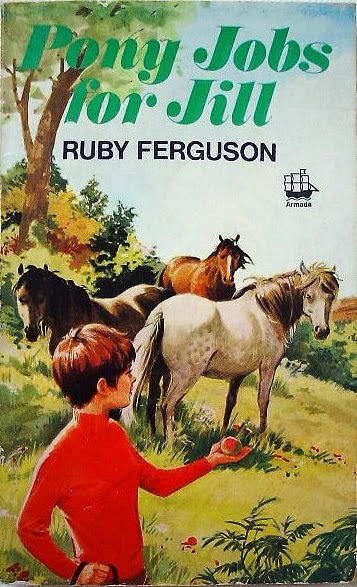 In the last book in the series, Jill’s Pony Trek, Ruby Ferguson takes Jill back to schooldays, when all she had to think about was enjoying the holidays with her ponies. It is Jill in the earliest books of the series that her readers remember best: lively, pony-obsessed, and with a world of possibilities at her feet. And it is noticeable that the authors who wrote the pony book series that followed in Jill’s footsteps kept their heroines firmly within the boundaries of their ideal, and pony-filled world. This piece was taken from the Jill chapter in my book, Heroines on Horseback. I felt the same when I first read this book - somewhat betrayed. 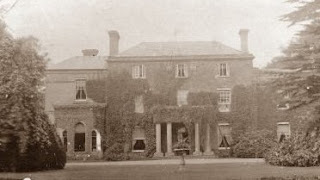 But looking back on it as an adult, after having read A Horse for the Holidays, whether the mother is vocally worried about her daughter's prospects working with horses with no money in the background, I've wondered if Mrs Crewe was concerned about Jill being exploited as a groom or similar. Or maybe I'm just filling in a gap to make myself feel better. I liked the idea of Jill running an orphanage best - I forget which book it comes up in. Ooh yes - she says in Jill Has Two Ponies in a career interview with Miss Grange-Dudley that she'd like to be an MP, an MFH or run an orphanage!